Hudson Valley Assessment Review, Inc.
Property Taxes Too High ...We Can Help! Lower Taxes Are Just a Phone Call Away! 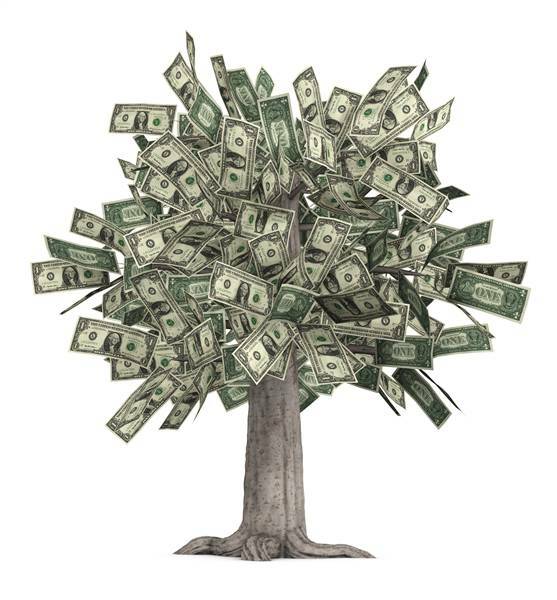 "Until Money Starts Growing on Trees Every Penny Counts"
HVAR, Inc. is a local based company providing information and advice to the residential homeowner to help understand your assessment and how it applies to your annual property taxes. Many properties throughout the Hudson Valley region are currently over assessed. It is up to the individual homeowner to determine if your assessment is accurate. We provide a service which determines the accuracy of your assessment answering the question "are you paying your fair share?". Prior to accepting a case a free consultation and analysis of your property will be provided allowing you, the homeowner, to make an informative decision as to whether your grievance is warranted. HVAR, Inc. provides full representation throughout the grievance process. At no point during a grievance will any homeowner be required to appear at the board, pre-negotiations and/or hearings. All cases accepted by HVAR, Inc. are guaranteed a reduction or your money back! Contract Fill out contract and submit to HVAR via email or postal service. RP 524 Filed to the assessment board of review for Grievance Day. RPTL 730 Filed to dispute board decision for SCAR. An assessment is a percentage or ratio (residential assessment ratio) based on the estimated market value of your home. Over assessments are common throughout Orange and Rockland Counties. It is up to the residential homeowner to determine if the assessed value of their home is accurate. If you have questions regarding your assessed value we encourage you to call or email one of our experienced tax grievance consultants to determine if a reduction may be warranted. A reduction in your assessed value will have a direct impact on your property taxes paid. Hudson Valley Assessment Review, Inc. provides full representation throughout all levels of the grievance process. All consultations are FREE and confidential! A reduction in your taxes may be just a phone call away. We will provide you with a free consultation. If our preliminary evaluation establishes that you have a viable case for a potential assessment reduction, we offer 3 options of service to the homeowner. HVAR will provide full documentation and representation throughout all levels of the entire process of you tax grievance. Fee: $800 *All fees are subject to change based on complexity of property and tax grievance case. Once a valid case has been established by our tax grievance consultants we will be available to the homeowner, if elected, to provide full representation in disputing your assessment. Representation fees and any additional fees for independent services will be fully disclosed prior to any formal agreements made. In other words our compensation is not based on a percentage of your savings which can be costly to a homeowner once a case has been settled. We will submit an appraisal along with your Grievance Application to your local Municipal Office (Assessor’s Office). An appraisal by an independent state certified appraiser is the most credible means of establishing the market value of your home. We believe an accurate appraisal is the key to a successful assessment reduction. Our experienced consultants will negotiate on your behalf with the Assessor and or the Board of Assessment Review. If the Board of Assessment Review denies a reduction in your assessment or if you are not satisfied with the decision at the Municipal level, then a second appeal is made in the county where the property is located. We will file the Small Claims Petition (SCAR) and will negotiate on your behalf with the hearing officer or Judge during an informal hearing. (The court imposed filing fee is included in our fee). If negotiations can not be made at the informal hearing the case will then be put on the agenda for trial and we will represent you in your County Court. The process ends when the client/homeowner receives a reduction or refund/rebate from the municipality along with a new and fair property assessment. The reduction you receive in your assessment will remain the same and you will benefit from the savings for years. If your assessment is not reduced we will REFUND the fee for representation less the court imposed filing fee. The assessment for the 2010 roll is based on market value as of July 1, 2009. Sales utilized should be prior to this date. A successful real estate tax appeal is based upon first establishing the market value of your property. In order to reduce your property taxes you must prove that the value of your property is less than the valuation assigned by your assessing district. (According to state law in most states, the assessment is deemed to be correct, and the burden of proof falls on the petitioner-homeowner to prove otherwise). Best Evidence - A recent arms length sale. An appraisal by a NYS Certified Appraiser. Supporting documentation is required to prove the value of your home in order to justify a reduction in your assessed value. Municipal Level - You can only file a Tax Grievance Application once a year with your Assessor’s office. The Board of Assessment Review is available to discuss all applications submitted by the required deadline. All types of properties can file a tax grievance application. A homeowner can file every year regardless whether or not they received a reduction the previous year. Grievance Day is generally at the end of May. County Level - If the board denies a reduction in your assessment or you are not satisfied with the decision, you may file a Small Claims Petition (SCAR). This appeal is made to a higher-level tribunal in the county where the property is located. A filing fee to NYS is to accompany the appeal for an index number. A hearing officer or Judge will then be assigned to your case. A date for an informal hearing will be set for your case to be presented. put on the agenda for trial. You may only file a Small Claims Petition at the county level on residential properties including 2 and 3 family homes. If you own an income-producing property of 4 units or more, mixed use, or commercial use property you must file an Article 7 Petition. You should contact an attorney regarding the petition procedures and filing fees. based on the physical condition as of this date. New construction or alterations would be valued based on the percentage of completion as of this date. If construction has started after this date, the change in assessment would be reflective for the next year’s roll. May 1st Tentative Roll filed – The tentative roll is filed in the Assessor’s Office. The value that is determined as of valuation date and the taxable status date. End of May Grievance Day- If you are not satisfied with your assessment you may file a Grievance Application with your Municipality. July 1st Final Roll Filed - The final assessment roll is filed in the Assessor’s Office. The assessments that appear on the roll are based on the value of the property. July 31st Small Claims Petition Deadline – If you have filed a Grievance Application and are not satisfied with the decision from the Board of Assessment Review, you may file a (SCAR) Small Claims Petition. The petition is to be filed with the county along with a $30 filing fee. A hearing officer will be assigned to your case. A date for an informal hearing will be assigned to present your case. If negotiations can not be made at the informal hearing the case will be put on the agenda for trial. What is a tax grievance? As a homeowner, you are entitled to file a tax grievance if you feel your assessment is excessive. A tax grievance allows your assessment be reviewed to determine if a reduction is warranted. How often can I file a Grievance Application? A grievance application at the municipal level can only be filed once a year but can be filed for consecutive years if desired. An application for any type of property may be filed. How often can I file a Small Claims Petition (SCAR)? After a grievance application is filed and a decision from the Assessor’s and or Board of Assessment Reviews is made you can file for SCAR. If you are successful in receiving a reduction at this level you will not be able to file the following year at the county level. If you are not successful however in receiving a reduction you may file the next consecutive year. Will my taxes go up if I file a Tax Grievance? A property assessment is a percentage of the market value of your home as determined by your Assessor. What is a Residential Assessment Ratio (RAR)? New York State determines the RAR based on the median sales price within your municipality. The RAR is divided by your assessed value to determine your market value. How is my market value determined by the municipality? You divide your assessed value by the RAR to determine what the assessor feels your home is valued at. What is the difference between my assessed value and my market value? The assessed value is only a portion or percentage of your market value. Market value represents the entire value of your property. How does my assessment relate to my taxes? Your assessment is multiplied by your tax rate. Can I file a Tax Grievance Application for an income producing property? Yes, but if the property is utilized as more than a legal three family, a mixed use or commercial use you must file an Article 7 Petition.Generally an attorney should be contacted for the filing and procedures of this petition. Will my assessment change next year? You file a grievance application the following year and get another reduction, which in that case it would be lower. If the Municipality conducts an entire town re-evaluation of all properties located within the township then your assessment may change. If you file for a building permit for an addition, deck, etc. your assessment would likely increase. Why would an appraisal be needed? To obtain a loan, To establish the replacement cost of home insurance, To contest high property taxes, To settle an estate, To provide a negotiating tool when purchasing real estate, To determine a reasonable price when selling real estate,To protect your rights in a condemnation case, If you are involved in a lawsuit. A recent sales transaction or a certified appraisal are the best evidence of proving market value. Tax grievance appraisals must be "as of" July 1st of the prior year for most municipalities. Please feel free to contact any of our professional references provided by: Hudson Valley Assessment Review, Inc.